Sidebar: it really hurts my heart when I hear friends say things like I just hate history or I don’t read. You can’t hate history! You are history! Especially when we are military living in Okinawa, we are shaping history every minute. Shoutout to all of the excellent history teachers I’ve been blessed with (including the always vigilant teacher that I married) who made history come alive for me. 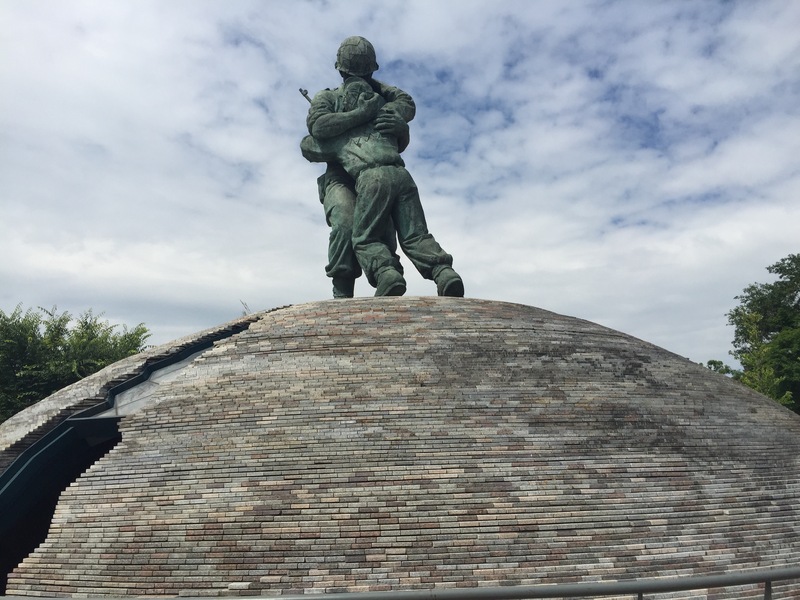 In this vein, I knew that traveling to Korea would necessitate a trip to the War Memorial of Korea. 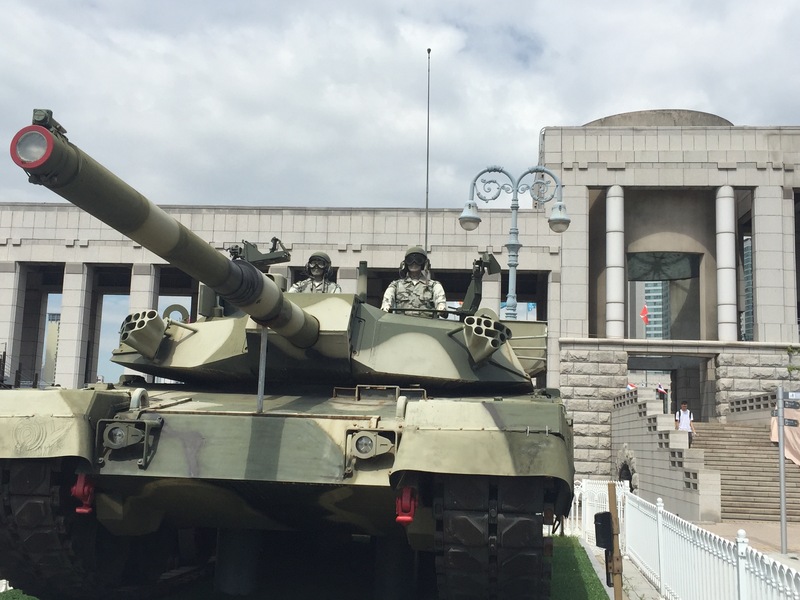 An incredibly comprehensive mass of exhibits teaches visitors about Korea’s entire history of wars, including several invasions and struggles for power. The legendary Admiral Yi Sun-sin is featured heavily as the star who held off the Japanese once and for all. 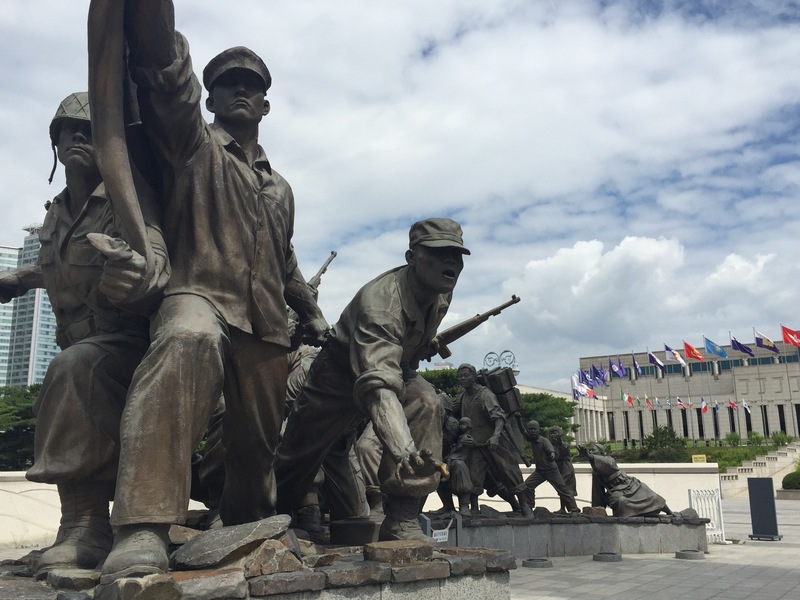 Outside the memorial, impressive monuments and art memorialize those who died in all wars, Korean and international. Kids crawled all over the huge tanks, planes, rockets, ships, etc.–this particular tank really impressed me because of the two mannequins posed as the two drivers. Their impressions were perfectly calm, and they looked perfectly posed to kill. Seeing them juxtaposed with all the laughing children was a sobering sight. 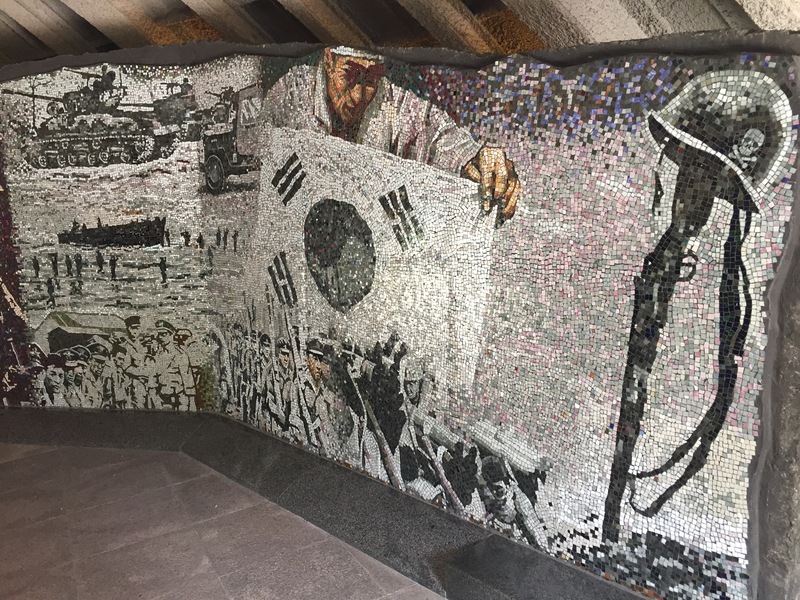 The memorial highlighted some pretty embarrassing deficits in my own knowledge of Korea’s history. There was a lot of Wikipedia-ing happening while I was here: Wait, so who were they fighting in 1592? And when was China invading? Was America with Korea? As I read about Korean soldiers dying in Vietnam, I felt totally embarrassed about my own lack of knowledge. I don’t feel like I’m the only one confused about Vietnam–truly, who isn’t?– but I still want to learn all I can.